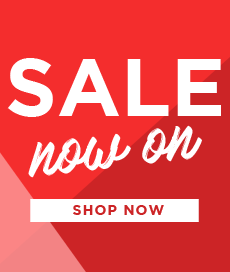 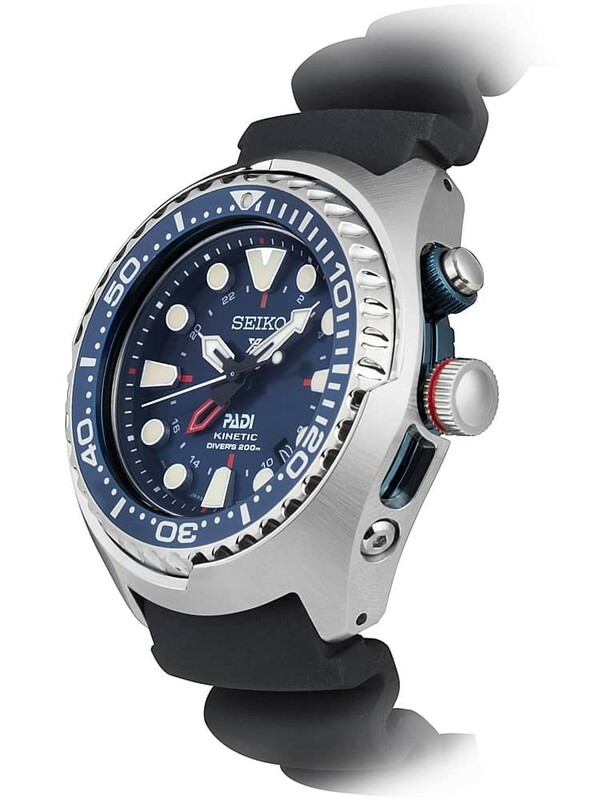 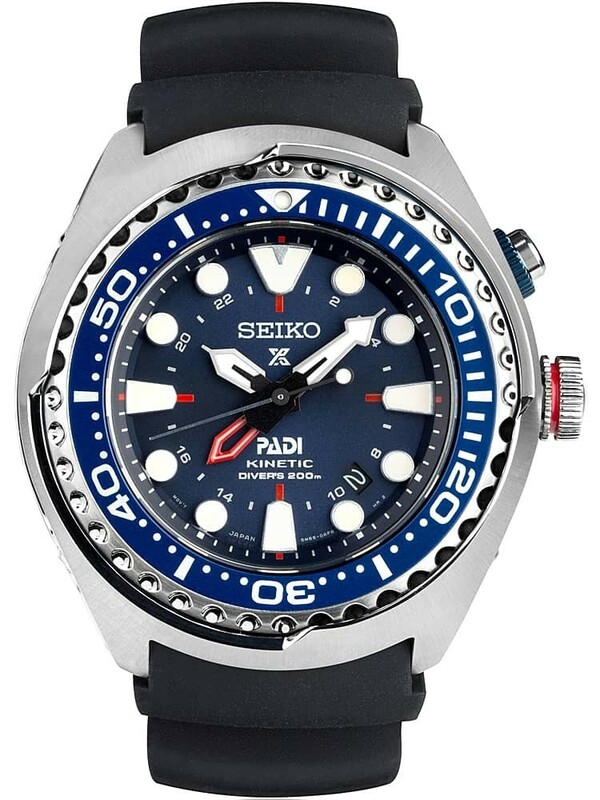 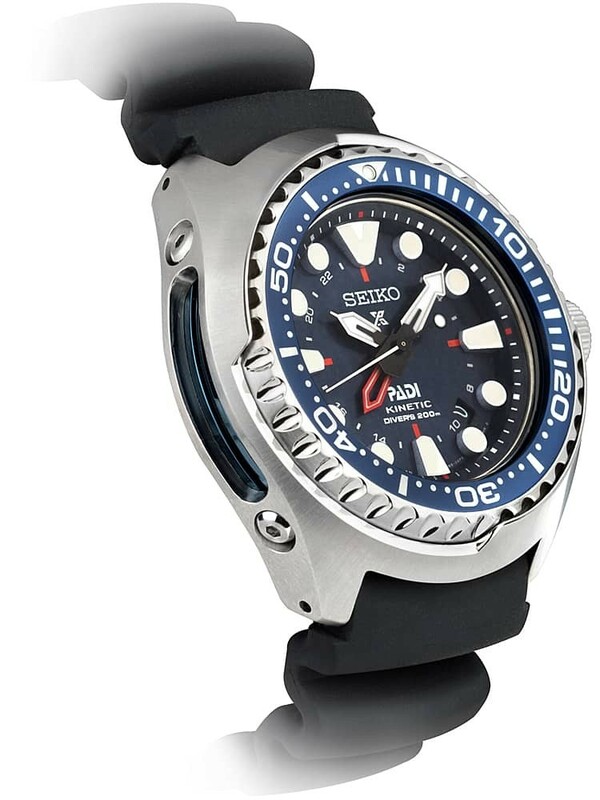 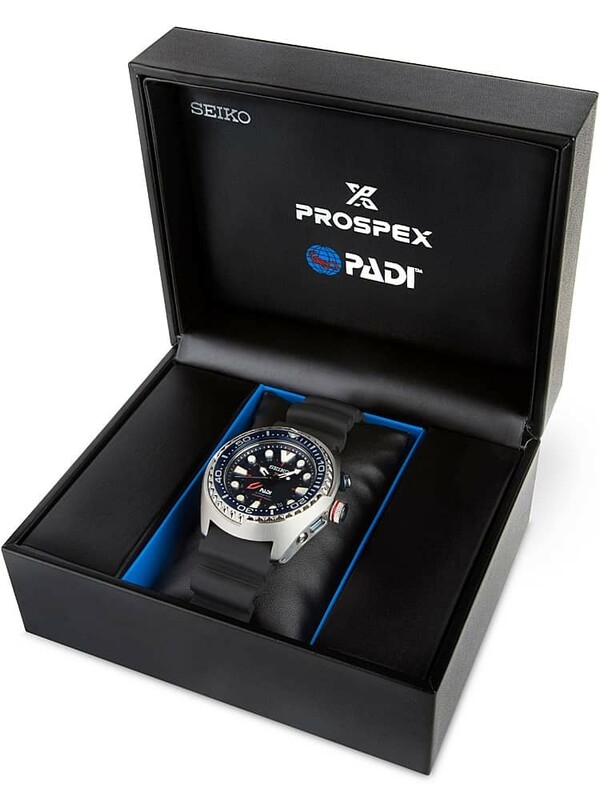 Seiko have produced this Kinetic powered watch with a 200 metre water resistance. 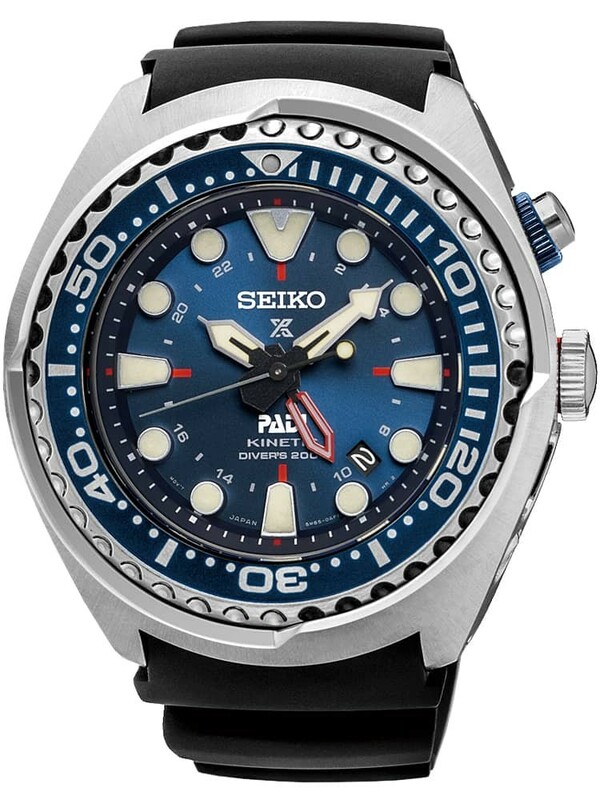 The blue dial features large easy to read luminescent hands and hour markers allowing easier legibility in low lit conditions. 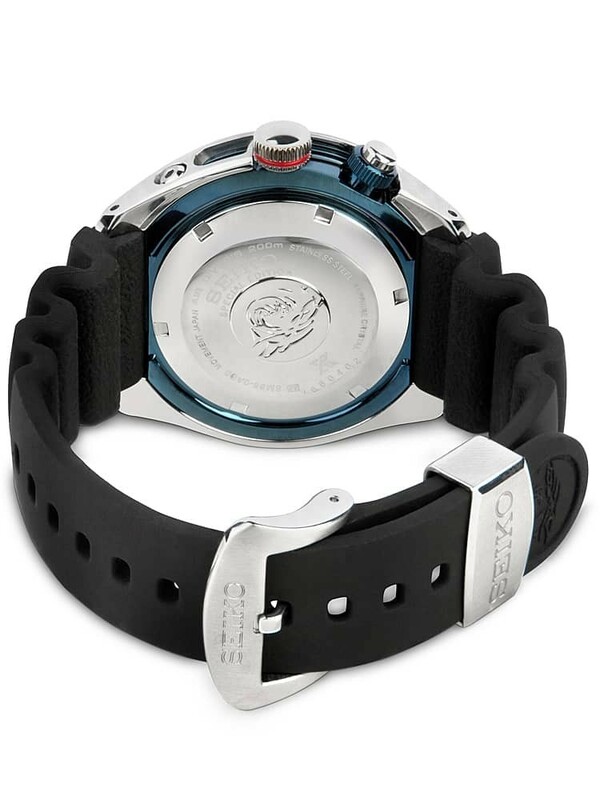 Both the crown and power reserve indicator button feature a screw-lock for greater security. 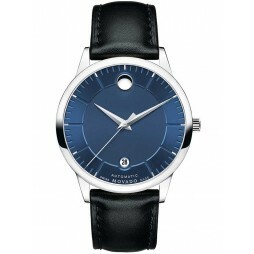 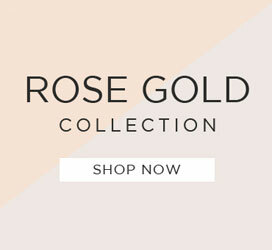 The watch is crafted from stainless steel and the dial is protected beneath anti-reflective coated sapphire glass.